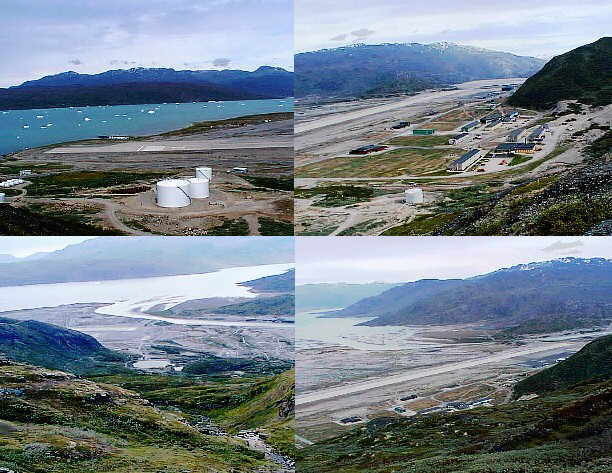 Photographs of the Narsarssuak (Narsarsuaq) area as it is today. Other than the Satellite photos these were taken July 1999 by Ove Bak. 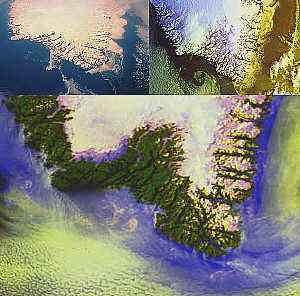 Eagle eye view (Satellite) of the southern tip of Greenland. Bottom view is 'Summer Time', note snow and ice free edges.